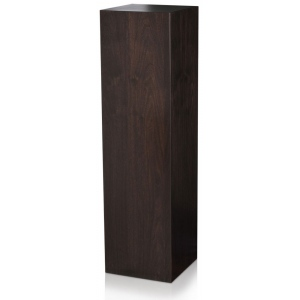 * Height of pedestal: 3", 6", 12", 18", 24", 30", 36", 42"
* Width: 11-1/2”, 15", 18", 23"
* Depth: 11-1/2”, 15", 18", 23"
* Size: 11-1/2" x 11-1/2"
This pedestal is custom made, therefore all sales are final and no returns or exchanges are allowed. This product is shipped from our warehouse in Fort Collins, CO, USA. Lead time for pedestal items is about 2 weeks.